Free yourself from the numerical editing matrix. 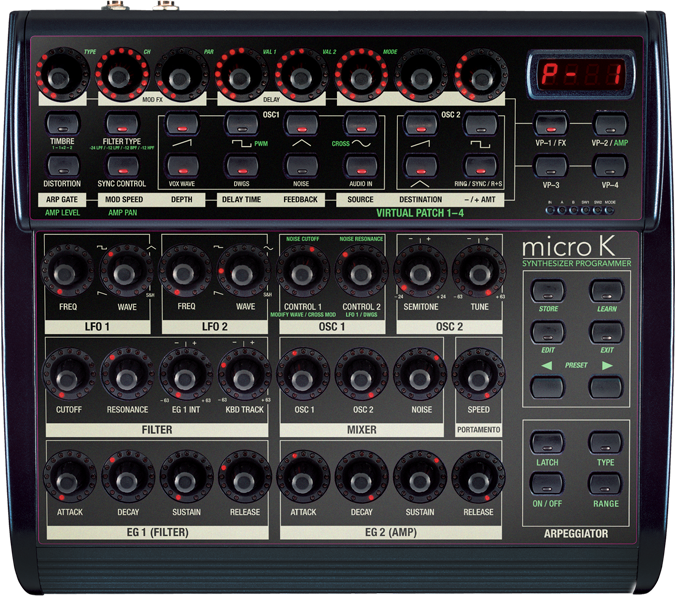 Introducing the Micro K Programmer™, our new MicroKorg programmer panel overlay for the low-cost Behringer BCR-2000 MIDI desktop controller. You can now access the sound editing parameters hidden inside your little powerhouse from Korg, with styling inspired by the legendary MS series. Have the programming ease of the MS2000 but without the size and cost, making it the perfect solution for studio sessions and live performance knob tweaking not possible before with the MicroKorg alone. It's easily the best way of getting everything out of the MicroKorg without diving into the menus.